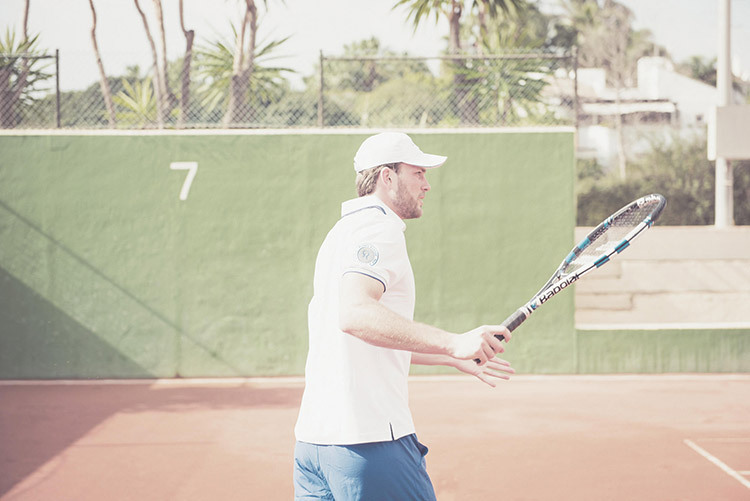 Our annual tennis programme for adults includes tennis classes at our prestigious Tennis Academy in Marbella, as well as other activities such as Mix-in or interclubs, also, any of our programmes can be combined with private tennis lessons. Personal Training: until April the 30th, get a voucher of 5 personal trainings at the gym with the special price exclusive for Members. Also, some of our group classes are free for you during the month of April… No excuses to get your summer body! Gym: until April the 30th, join the gym and save the inscription fee. Also, with the purchase of MyWelness device, you will get the first consultation free with our personal trainer. Set your program and work hard to reach your goals! Tennis: Play your game with friends! Reserve your court and buy your balls with 50% discount. Test yourself against your fellow members in the ultimate battle of skills on the court. To know when is going to take place the next tournament, visit our calendar. The tennis mix-in is the ideal format to adapt the game to all types of opponents and to get to know other players. Every Wednesday from 10h to 12h, and every Sunday from 11h to 13h, doubles matches will be played, rotating in each set under the supervision of one of our coaches. The members of our Club have the possibility of participating in the interclubs that we organise with other clubs, it is a great opportunity to have fun and exchange experiences with other players, and finally, put into practice what your have learnt at our Tennis Academy in Marbella. Besides the mix-in, this is a good way to play matches. Please, send us your request by filling out the following form. This form must be completed in full in order to join the Tennis School. Forms with missing details will not be admitted. day of each month, unless payment is made at the Reception by the 7th day of each month. justified cause (illness or injury), is not possible. Pupils are assigned a group and a timetable. Should any changes be necessary, please contact the Tennis Club Reception and note that these can only take place on the following month and not sooner. Failure to keep payments up-to-date will result in not being allowed in class. Pupils leaving must inform Reception by sending an email to ctenis@puenteromano.com 15 days before the following month begins, in order to cancel further charges.